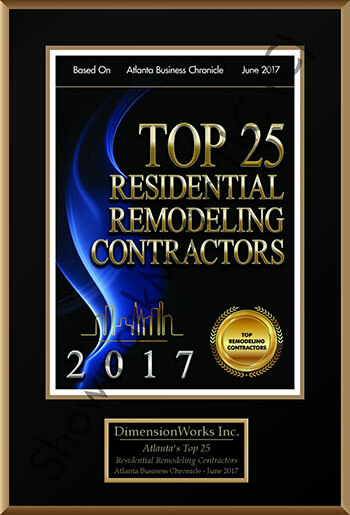 About Us – DimensionWorks Inc.
DimensionWorks Inc. is a full service design-build and construction management company offering design consulting, construction drawings, construction contracting, project management and master planning. Founder and President John Sitton has broad experience in projects of all types and sizes from kitchens and baths, additions and interior renovations to whole house remodeling, new homes, commercial interiors and land development. 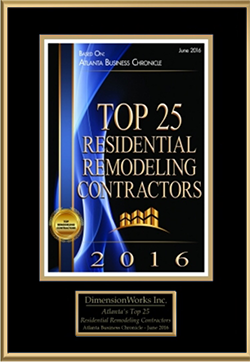 DimensionWorks Inc. is an insured and bonded Georgia Licensed Residential & Light Commercial General Contractor. Additionally, John Sitton is a LEED Accredited Professional and a candidate for licensure as a Georgia Registered Architect, pairing an eye for detail with extensive hands-on construction experience and project management skills to consistently produce high quality projects that exceed client expectations.